Wow! I have just realized that it's been more than two months since the last Nails Talk post. Not sure who's still checking back for polish related posts, but for those who did, thank you for returning. Been swamped with work that I hardly had time to paint my nails as often and that's also the reason why blogging has taken a backseat. Now that work is slowing down, it's time to get back on track again. 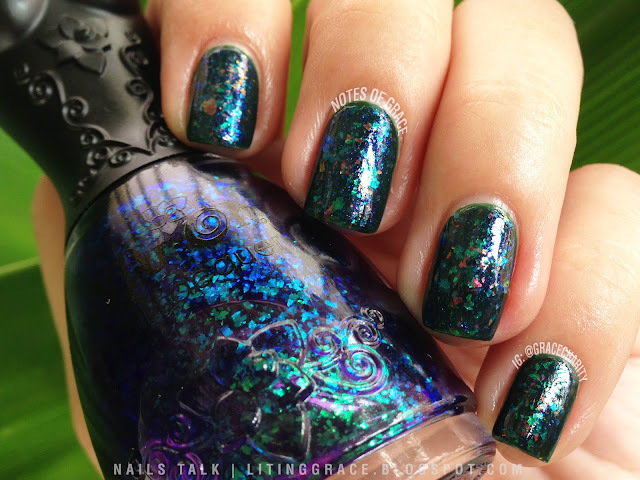 The monthly Birthstone Series was started in July as part of the #PolishTogether swatch fest on Instagram. However, I've only participated once and that was back in July which you can check it out here. Before I go on, a big shout out to Pearlyn otherwise known as @perpetualfunk who has been organizing the Birthstone Series. Thank you for keeping this series ongoing and also for the lovely posters! 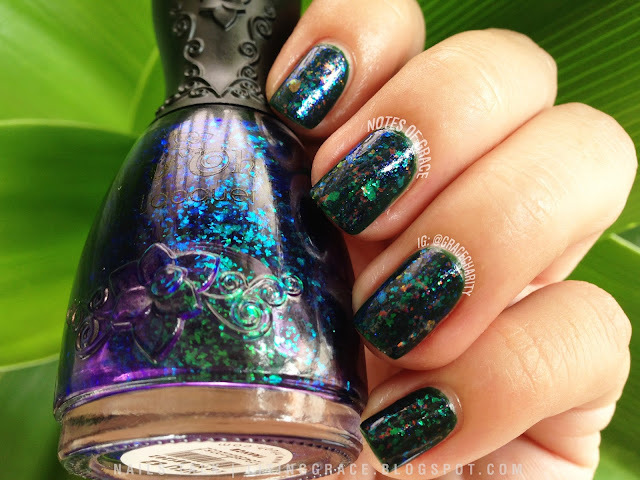 October's birthstone is Opal and flakies was set as the theme for this. Though I'm a few days late (the swatch fest was held on 20 October 2013) but I guess better late than never. 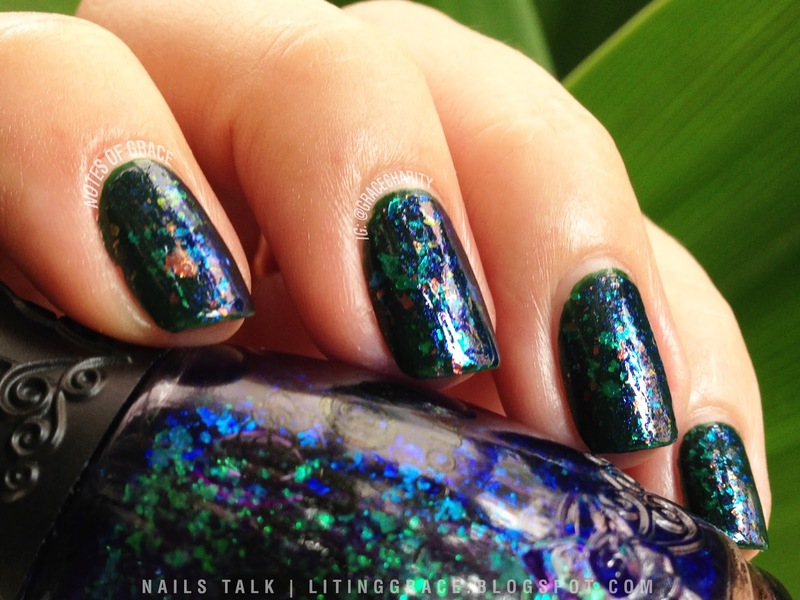 For this manicure, my initial choice was to pair NFU OH 51 over a black or purple base. Somehow I didn't like what I saw and I decided to pair a green base with NFU OH 52. Yet, I felt something was lacking and with NFU OH 52 staring at me, I decided to add a coat of that and bingo! I fell head over heels in love with it. I then added another coat of NFU OH 51 over it and finished the manicure with a coat of fast drying top coat. Meantime, do check out the #polishtogether hashtag on Instagram to see what the other polish lovers have created. 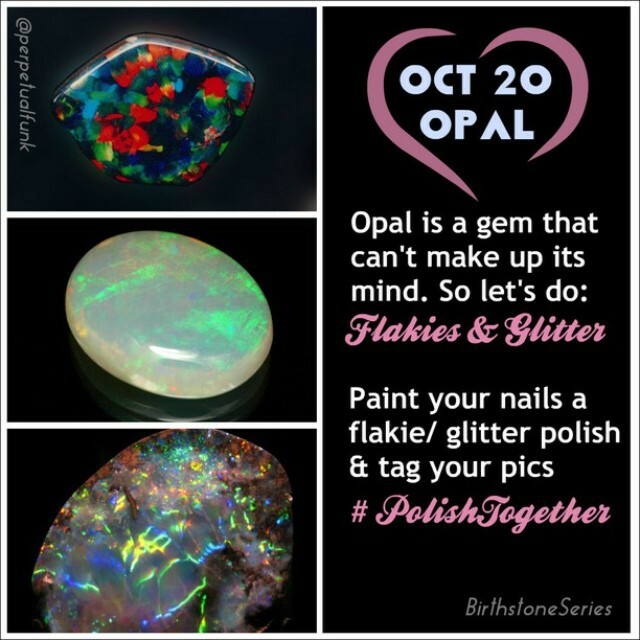 Do also follow @polishtogether for updates on the monthly Birthstone Series and other upcoming themes.